Senator Richard Blumenthal, of Connecticut, has become the lead plaintiff in a lawsuit filed against the President. 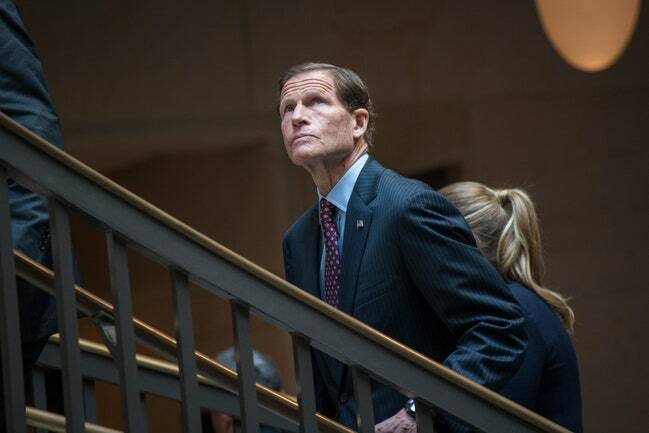 The nerd caucus of the United States Senate is currently headed by Richard Blumenthal, the Connecticut Democrat, who clerked for Justice Harry Blackmun on the Supreme Court before serving for two decades as his state’s attorney general. (Other members of the group include Mike Lee, of Utah, who clerked for Samuel Alito before he was appointed to the Supreme Court, and Ted Cruz, a law clerk for William Rehnquist, who aspires to greater political heights than caucus membership usually allows.) Still, for all of Blumenthal’s legal experience and expertise, he admits that when Donald Trump was elected, last year, he had never heard of the emoluments clause of the Constitution. Blumenthal has since discovered that the clause addressed a major issue for the Framers, who feared that wealthier countries would bribe the new nation’s public-office holders. “We were a nation flat on our back, and we had created a system without permanent office holders—no kings, no lords—so it would be clear that people would be moving in and out of government,” Blumenthal told me the other day. “And rich countries were all too willing to take advantage economically of the people who were in government at any given time.” The addition of the clause to the Constitution was apparently prompted by Louis XVI’s gift of a miniature portrait of himself, set in a diamond-encrusted case, to Benjamin Franklin, when Franklin completed his service as Ambassador to France. Is the White House Refusing to Pay the Middle Schooler Who Wrote the Republican Health Care Bill?